INDORE, INDIA, September 27, 2018 /EINPresswire.com/ — According to OMR analysis, the global aluminum-based battery market is expected to grow at a moderate CAGR during the forecast period 2018-2023. 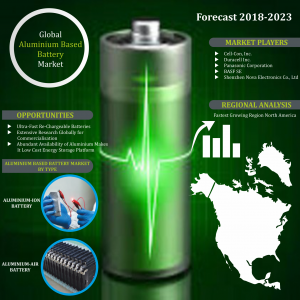 The aluminum-based battery market is estimated to grow modestly during the forecast in the said period due to its increasing use in various end-use industries such as automotive, electronics etc. globally.across the globe. The global aluminum-based battery market can be bifurcated into by product types which can be further segmented into aluminum-ion battery, and aluminum-air battery; by application which can be further the market has been segmented into industrial, automotive, and other applications and geography. The report provides detailed and insightful chapters which includes market overview, key findings, strategic recommendations, market segmentation, market estimations, market determinants, key company analysis, market insights, company profiling, geographical analysis, analyst insights and predictive analysis of the market. Aluminium-based batteries use aluminium as one of the sources to produce electricity. Aluminum based batteries are of two types viz. aluminium-ion batteries and aluminium-air batteries (Al-air). The former is a class of rechargeable battery in which aluminum ions provide energy, while the later produce electricity from the reaction of oxygen in the air with aluminum. The fact that the aluminum is inert and can be handled easily in an ambient environment is expected to offer significant safety improvements for aluminum-ion batteries. These batteries offer the possibility of low cost, low flammability, and their high capacity is attribute to three-electron redox properties of aluminum. Durability and superfast charging capacity of aluminum based batteries are the factors which supplant lithium-based batteries with aluminum-based batteries. Moreover, compactness of aluminum-based batteries is attribute to its higher energy storage capacity on a per volume basis than other metal-based batteries. However, shorter shelf-life and slow adoption rate are the main factors that may hamper the market growth. 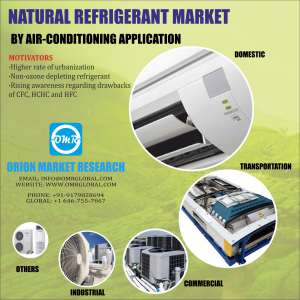 Besides this, the market has enormous opportunities to look for such as abundance of aluminum metal and its various uses in different applications, growing electronic industry in emerging economies, and growing electric vehicles market. On the basis of geography, the market is segmented into North America, Europe, Asia Pacific, and Rest of the World (RoW). Of all these regions, Asia Pacific region holds the largest market share in the market due to its vast population and rapid urbanization in Japan, and emerging economies like China, India, and South Korea. The region is expected to show substantial rise on account of implementation of government policies to promote electric vehicles in India & China. Moreover, China is the home of some of the major key players of the market which further propel the market growth. The aluminum-based battery market is very competitive. These players face fierce competition among themselves. 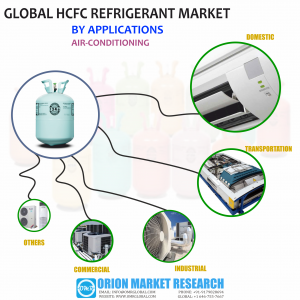 Some of the major key market players are include AEG Powertools, Cell-con, Duracell, GP Batteries, Harding Energy Inc., Johnson Controls, Panasonic Corporation, BASF, Power-sonic Corporation, Supreme batteries Pvt. Ltd., Energizer, Rayovac, Shenzen Nova Co. Ltd., Spectrum Brands Holding Inc., Taurac, and Uniross. Comprehensive research methodology of Global Aluminium based battery Market. Analysis of regional regulations and other government policies impacting the Global Aluminium based battery Market. Insights about market determinants which are stimulating the Global Aluminium based battery Market. INDORE, INDIA, September 27, 2018 /EINPresswire.com/ — According to the OMR analysis, the global 3D concrete printing market is projected to exhibit a significant growth during 2018-2023. The growth of the market is attributed to rapid urbanization and industrialization in emerging economies such as India and China. Moreover, the implementation of more sophisticated design along with the minimal requirement of labor for the construction process are some of the driving factors of the market. 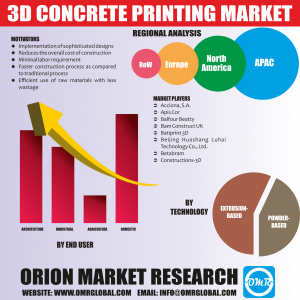 The global 3D concrete printing market is segmented on the basis of offering, technology, concrete type, product type, end users, and geography. 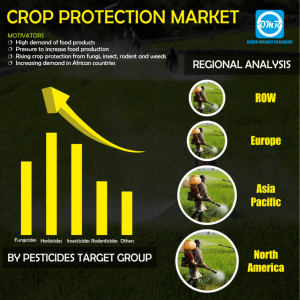 The report provides detailed and insightful chapters on market overview, key findings, strategic recommendations, market estimations, market determinants, key company analysis, market insights, company profiling, market segmentation, geographical analysis, and analyst insights. “High economic growth in APAC such as China, India and Japan are the major factors paving the growth of the global 3D printing market. Economic liberalization in India, Abenomics in Japan, and various development reforms initiated in China are some of the major causes of industrialization and urbanization in APAC. According to International Monetary Fund (IMF), India’s growth forecast for 2018 has been raised to 1.1% from the economic status of 2016. Moreover, the expansion has been raised to 1.2% in Japan’s economic growth for 2017, owing to the support from expansionary fiscal policy in the country. According to India Brand Equity Foundation (IBEF), the Indian construction industry’s market size is estimated to be around $37.6 billion in 2016 and employs a workforce of around 32 million. The growing construction sector is expected to provide growth opportunity for the 3D concrete market across the globe. The report studies the global 3D concrete printing market from a geographical stance and segments into North America, Europe, Asia-Pacific, and Rest of the World. North America held a dominant position in the global 3D concrete printing market in 2017. Rapid industrialization and construction activities in the region along with development of innovative construction materials are some of factors that are significantly contributing in the market growth in the region. Asia-Pacific is projected as the fastest growing region in the global 3D concrete printing market over the forecast period. Rising population and rising disposable income in the region have led to a major rise in the construction sector in Asia-Pacific. This, in turn, is the major factor providing a growth opportunity for the 3D concrete market in the region. 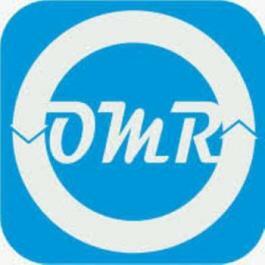 INDORE, INDIA, September 27, 2018 /EINPresswire.com/ — According to the OMR analysis, the global automated pipetting system market is growing at a significant rate during 2018-2023. The automated pipetting system has high accuracy, easy handling system and productivity. All such features are expected to promote the growth of automated pipetting system market over the forecast period. 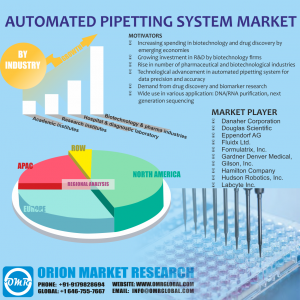 The global automated pipetting system market is segmented on the basis of application, type, instruments, industry and geography. The report provides detailed and insightful chapters on market overview, key findings, strategic recommendations, market estimations, market determinants, key company analysis, market insights, company profiling, market segmentation, geographical analysis and analyst insights. “Automated pipetting system is increasingly used for pipetting of liquids in prescribed volumes in specified containers. 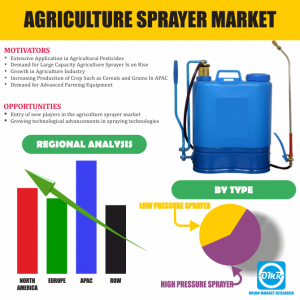 As a result, it finds applications in numerous industries including pharmaceutical & biotechnology, hospitals & diagnostics and various research laboratories. This is expected to be one of the prime reasons which is expected to increase the demand of the automated pipetting system over the coming years. Moreover, biopharmaceutical industries are expected to witness double digit growth in the coming years, owing to increasing investment by the emerging economies so as to develop new drugs in order to treat previously untreatable conditions. This is also expected to create opportunities for the augmentation of the automated pipetting system market over the forecast period. The market on the basis of geography is divided among four major regions – North America, Asia-Pacific (APAC), Europe, and Rest of the world. 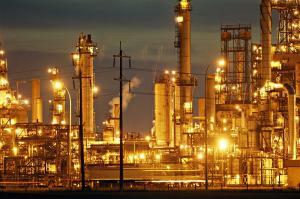 North America is the leading market and is expected to witness an incremental growth over the comping years. This can be attributed to rising spending in the biotechnology & pharmaceutical industry along with the increasing prevalence of chronic diseases in the region. Europe is expected to witness lucrative growth opportunities in the coming years. This can be attributed to the presence of numerous manufacturers such as Gilson, Inc. in the European market. Moreover, emerging economies such as Brazil, China, India are expected to provide significant growth opportunities for the growth of the automated pipetting system market over the forecast period as the key manufacturers in these regions are focusing on investing on research and development of new medicines and drugs so as to meet the increasing demand of the population. Comprehensive research methodology of global automated pipetting system market. Analysis of regional regulations and other government policies impacting the global automated pipetting system market. Insights about market determinants which are stimulating the global automated pipetting system market. 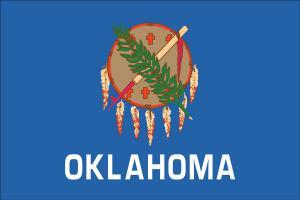 NEW YORK, NEW YORK, USA, September 26, 2018 /EINPresswire.com/ — The Oklahoma Mesothelioma Victims Center says, “We are urging an oil refinery or oil and gas production worker who has recently been diagnosed with mesothelioma anywhere in Oklahoma to call us anytime at 800-714-0303 to ensure they have direct access to some of the nation’s most skilled lawyers who consistently deliver the best financial settlement results. “Our message to all current or former oil refinery workers with mesothelioma in Oklahoma is: To receive the very best possible financial compensation, you must have retained the services of one of the nation’s most experienced and qualified mesothelioma attorneys. If we are talking about an oil refinery or oil/gas production worker with mesothelioma living in Oklahoma, the financial compensation potential could easily be well over one million dollars. 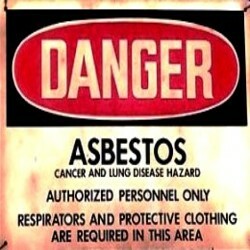 High risk occupations for asbestos exposure in Oklahoma include US Navy Veterans, Fort Sill Army Base in Lawton, Tinker Air Force Base in Oklahoma City, and the U.S. Naval Ammunition Depot in McAlester, oil-gas production workers, power plant workers, public utility workers, oil refinery workers, plumbers, electricians, welders, machinists, millwrights, mechanics, auto brake technicians, construction workers. GAITHERSBURG, MARYLAND, UNITED STATES, September 25, 2018 /EINPresswire.com/ — Sirnaomics, Inc., a leading biopharmaceutical company in discovery and development of RNAi therapeutics, announced today that Dmitry Samarsky, Ph.D., will be joining the company’s senior management team as Chief Technology Officer, taking effect on October 1st, 2018. Dr. Samarsky is one of the pioneers and an internationally recognized expert in the field of RNAi therapeutics. Dr. Samarsky will have two roles: (1) to lead Sirnaomics’ RNAi technology development and secure its leadership position; and (2) to facilitate technology collaborations and therapeutic partnerships.